ABSTRACT DEADLINE EXTENDED TO APRIL 30! 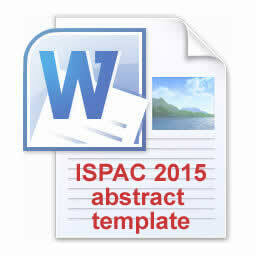 You can upload the abstract online; the deadline for abstract submission is April 30 2015. The acceptance will be given around 15. May 2015. The abstracts accepted will be published in the symposium book delivered to all participants at the meeting. The full text should be prepared for the conference and sent within a few days after the end of the conference to the Editor. Submitted articles which are peer reviewed, recommended and accepted, will appear in regular issues of IJPAC with a remark that the contribution has been presented at ISPAC 2015 in Houston, Texas.